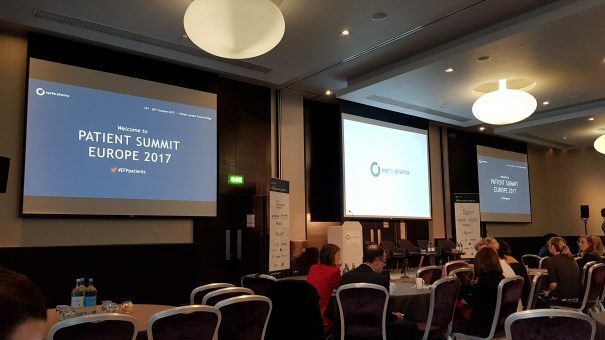 Marco Ricci reports on some of the initiatives pharma is taking to improve patient centricity, as highlighted during day one of this year’s eyeforpharma Patient Summit Europe conference. Among the many buzzwords currently pervading the world of healthcare, ‘patient centricity’ is one that represents a very real shift in focus for the industry. The term defines healthcare’s gradual evolution into a patient-centered practice, one that incorporates patient insights to provide better, more valuable care. Despite being a term that encompasses a noble cause, many still believe the pharmaceutical industry is struggling to grasp it. As a result, events like eyeforpharma’s Patient Summit Europe (PSE) 2017 exist to convene stakeholders from all over the industry to brainstorm problems in the process and find potential solutions. This year’s Summit was promising, featuring companies in the process of overcoming persistent barriers to patient-centric approaches, and those further down the line integrating findings from patient-centricity initiatives into their company processes. ‘Value’ was the core of virtually all the discussions on day one; what it means, how it can be discovered and where it fits into healthcare. The first of the day’s talks featured a panel of speakers from Teva, AstraZeneca (AZ), Gilead and Grünenthal, who discussed methods of defining value, how value is influenced by both culture and society, and where and how digital can deliver it. All agreed that trust was the key to building patient centricity, both within an organisation and between pharma and consumer. Trust is also the key ingredient for promoting both literal and figurative cross-collaboration between pharma companies, agreed the panel – a process that is actually spurred on by listening to the patient voice. “Patient insights help us move across borders and outside of boundaries as we all are moving towards a common goal,” stated Lars Joensson of Grunenthal. However, achieving this goal requires guidelines and ambition. “”This can’t just be a statement – it has to be planned, a set of guidelines that companies signing on to do this can do so well. It has to be more than words,” said DeGoes. Next, speakers from AZ, Ipsen and UCB spoke about their individual patient-centric transformations. He highlighted the firm’s PaCe (patient centricity) pilot programme – a multi-year project to embed patient-centric principles into AZ’s operations. The pilot led to protocol and delivery amendments, fast, cheaper study delivery, patient insight being routinely included in protocol development, and an ongoing discussion with regulators. A similar situation occurred for Ipsen, which has a company mantra ‘working with patients, for patients’. Using Medical Affairs teams as the ‘gatekeeper’ of patient-centricity, the company has developed a complete patient value model which is now core to its operations. UCB showcased its method of defining patient value, which led to the introduction of patient insights into its drug development. The result was Briviact – a drug used for treating partial-onset seizures. Shire’s Thomas Kerscher spoke about the development of his firm’s patient support programme for the debilitating rare disease, short bowel syndrome. The company discovered that the number of patient start forms for their medicine vastly outnumbered those that ended up on treatment. Examining the process, a lack of follow-up appointment after diagnosis, stakeholder coordination by patients, and data management between patients, nurses and HCPs were hindering uptake. Shire placed a nurse at the centre of its patient support efforts to coordinate the process – a step that dramatically increased the rate of patients beginning treatment. Next Mapi Group’s Kelly Franchetti discussed methods of gaining patient insights. The second half of the day looked at digital technology and its potential for improving patient centricity. 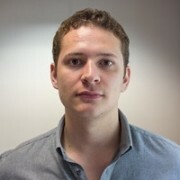 Sanofi’s Jan Liska and S3 Connected Health’s Matt Norton investigated patient empowerment and behavioural psychology, respectively. Liska focused on Sanofi’s partnership with Science 37 – a technology firm aiming to help clinical trial recruitment through enhanced patient centricity. So far, the partnership has resulted in higher enrolment numbers for Sanofi studies using fewer resources and in less time. Norton’s talk focused on ‘micro moments’ – specific parts of a patient’s journey that differ from patient to patient and need to be addressed as such. For some, questions of treatment dose may be an issue, while improving symptoms may be important to others. Addressing these needs help improve one of pharma’s biggest challenges: non-adherence. At the end of the day, eyeforpharma award winners and nominees talked about their patient-centric initiatives. Takeda talked about driving patient centricity through empathy. An internal campaign to put employees in the shoes of a patient with Inflammatory Bowel Disease (IBD) (aptly named ‘#InTheirShoes’) set each employee daily challenges akin to what IBD patients face, along with a toolkit of devices that would simulate different IBD symptoms. After successfully deepening employee empathy for people with IBD, #InTheirShoes evolved into #FlyWithIBD – an external campaign to raise awareness of IBD issues during flights. Takeda has since worked with airlines to improve ingredient labels, food choices and seat selections for IBD patients. AbbVie presented on its Doctor’s Channel – a YouTube channel providing medically-approved information to the Israeli public. The idea was originally launched to simplify important medical information and now covers over 114 illnesses via 300 videos. The channel has had over 700,000 video views to date. The Roche presentation expanded on the company’s idiopathic pulmonary fibrosis (IPF) awareness campaign. IPF lacks treatment choices to tackle its particularly poor five-year survival rate, caused by irreversible scarring of the lungs. Roche’s campaign set about activating patients to request anti-fibrotic medicines via unbranded, multichannel marketing. Having achieved an impressive increase in the numbers of patients asking for these therapies, the campaign is now live in 15 markets and in 17 different languages. The see full coverage of day one of eyeforpharma Patient Summit Europe 2017, click here.